Tropical Chic and Negative Space for Creating Kindness Design Team April Blog Hop. 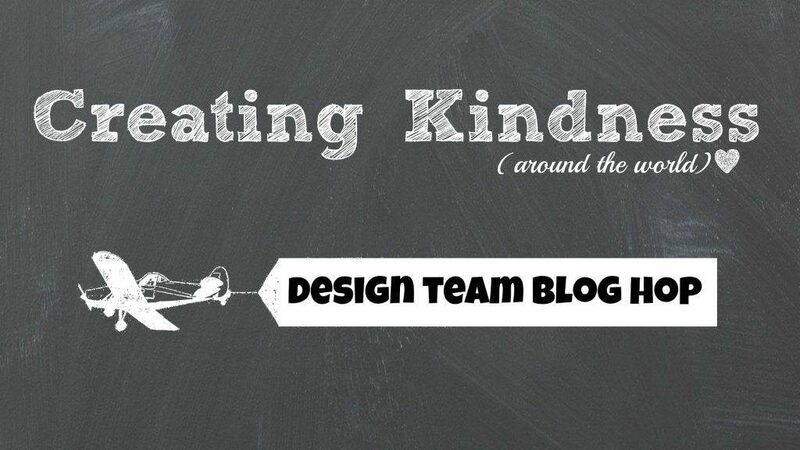 Welcome to the Creating Kindness Design Team Blog Hop for April. The theme of the hop this month is “negative space”. Such fun! Our guest designer this month is Linda van Welly-Zwolle … visit her blog here. Liz is am amazing paper artist and I can’t wait to see what she creates for our blog hop. 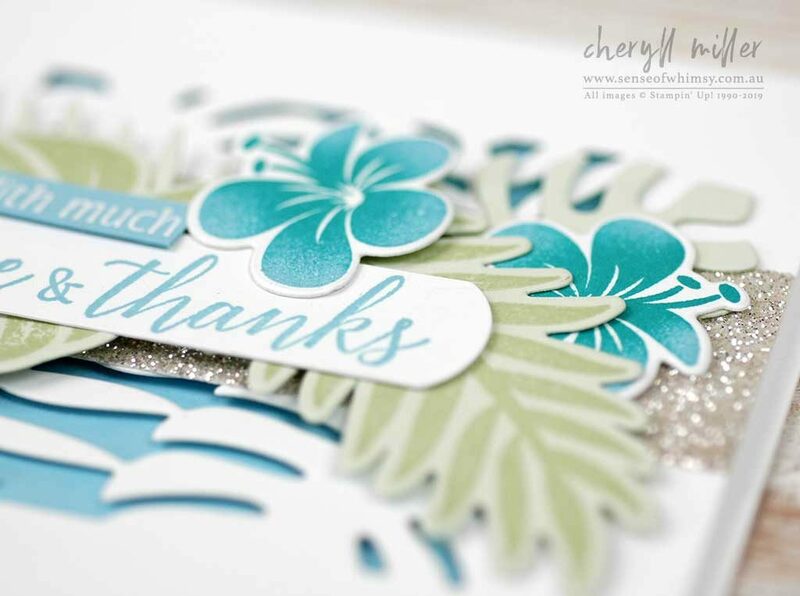 The Tropical Thinlits that co-ordinate with the Tropical Chic stamp set include one die that is custom made to create a negative space. I have used it here to cut the panel of tropical leaves and placed a panel of Balmy Blue cardstock behind to show through the cut out areas. I have stamped the Hibiscus flowers using the direct to stamp sponging technique and the Stampartus. The strip of Silver Glimmer paper adds a touch of bling to the card. And here is the same card with a slight change. I have left the negative space white behind the leafy reverse die cut. Here is the list of the Design Team Members who have created videos this month for the hop. Grab a cuppa and check them all out, you won’t be disappointed. And here is the listing of team members (and Linda) participating in the blog hop this month. oh wow, I absolutely love everything about this card! Off to dig out my stamps and dies right now! So calm and refreshing…. love it, Cheryll! Beautiful cards, Cheryll! Changing the color behind the reverse die cut makes such an impact — two different cards.